Hoe pakt Barry Callebaut de technologische uitdagingen van de toekomst aan? Ontdek het tijdens dit Client Seminar van Agoria's Food & Beverage Technology Club. We are pleased to welcome you in the Food Pilot Plant in Melle. Mr. Filip Buggenhout, Director Process & Digital Development, will share with us, his vision on Barry-Callebaut's future technological challenges. This event is free of charge if you are a Food & Beverage Technology Club Member. No show fee: € 250 (excl. VAT per person). You can be replaced by a colleague. 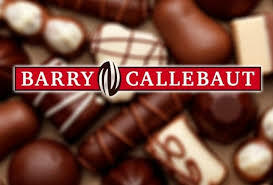 Your participation is subject to be approved by Barry Callebaut. You will receive an e-mail confirmation from us by 07 May if your participation has been withheld.